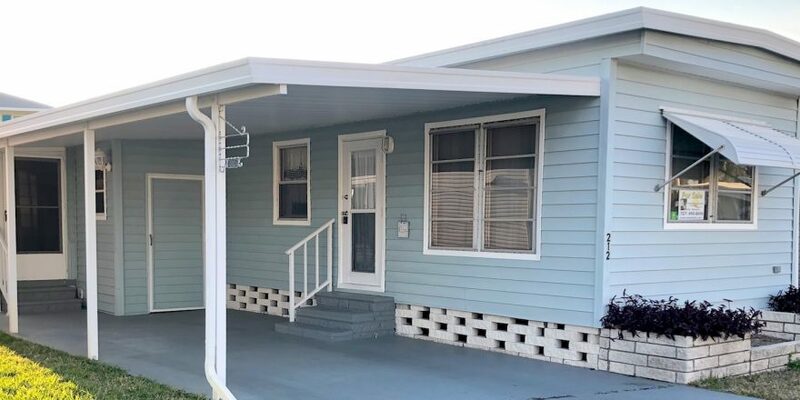 This Delightful 2 Bedroom, 1 Bath Partially Furnished Home is in Isle of Palms, a 55-Plus Park with Low $403 Lot Rent. 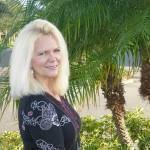 The home has a Beautiful Florida Room with All Weather Windows. It has New Fixtures in the Bathroom, Kitchen Appliances that were New in 2017, New Kitchen Sink with New Faucet, and the Roof-Over was New in 2016. The Spacious Living Area has Large Windows that allow Natural Light to filter in, and opens to the Bright White Kitchen with Dining Nook. This home has Lots of Cabinets for all of your Kitchen gadgets, and Plenty of Counter Space to make cooking a breeze. The Master Bedroom has a Large Closet and Built-ins for Extra Storage Space. The Guest Bedroom is a Nice Sized Space for visitors or could be used as a Hobby/Craft Room. The Bathroom has a Large Vanity with Storage below, a Full-Sized Linen Closet, and a Shower/Tub Combo. There is a Hall Closet just outside the Bathroom that offers Additional Storage. The Carport leads to a Shed with the Washer and Dryer Hook Ups, and an entrance to the Florida Room that opens to the home. This is a great spot to relax and Enjoy Florida’s Fabulous Weather!